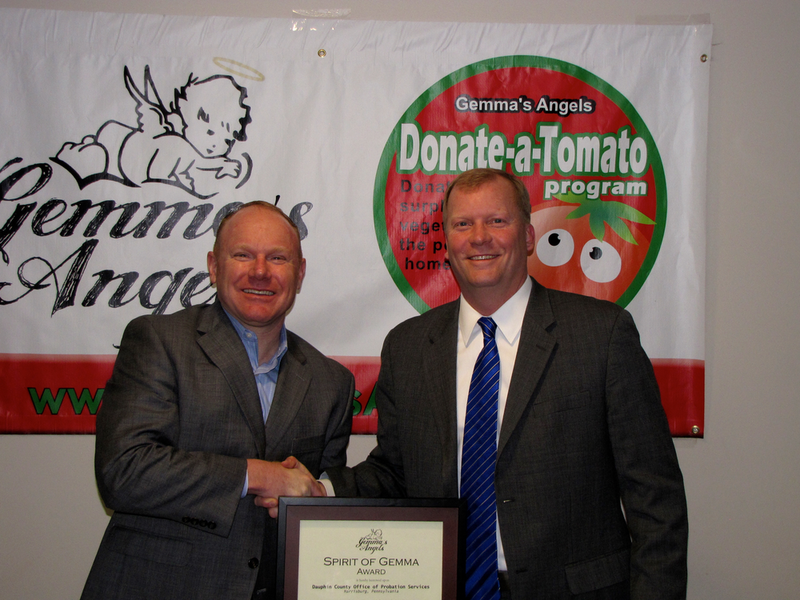 Chad Libby, Director of Dauphin County Office of Adult Probation and Parole, receiving the Spirit of Gemma Award from Gemma's Angels Advisory Board Member & Dauphin County Commissioner Mike Pries at the 2016 awards ceremony. 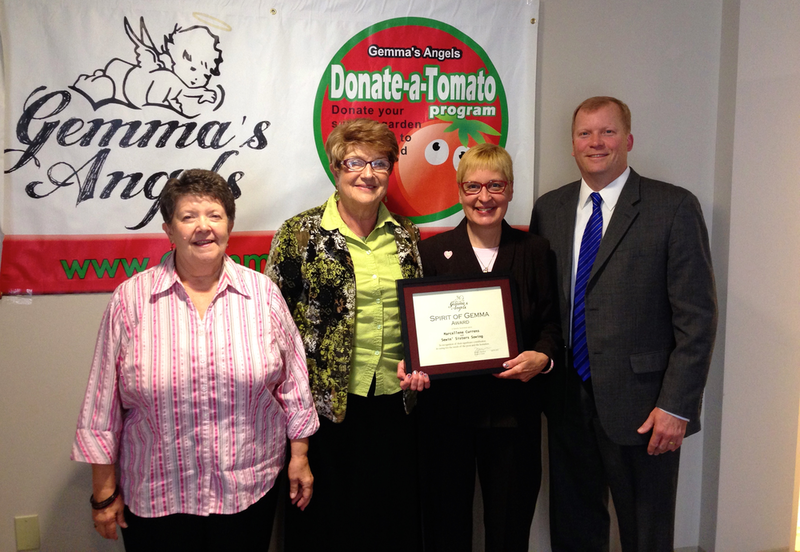 The Spirit of Gemma Awards recognize those who significantly contributes to and/or performs service to the community that mirrors Gemma’s Angel’s mission. Nominees can be individuals, groups, organizations or a business. Priority is given to those who reside or are located in Dauphin or Lebanon Counties but consideration is given to any nominee based anywhere. The awards will be presented at the 5th Annual Spirit of Gemma Awards Breakfast fundraiser to be held at the Mohler Senior Center on Saturday, April 27th from 9 am to Noon. Mohler Senior Center is located on the grounds of Penn State Hershey Medical Center adjacent to the Hope Drive Center. Tickets are $7 per person for adults, $5 for students and seniors age 65+, $4 for children ages under 12 and free for children age 5 and under. A breakfast of pancakes, sausage, fruit, orange juice, coffee/tea and Panera items will be served. Register online and pay at the door with check or cash. 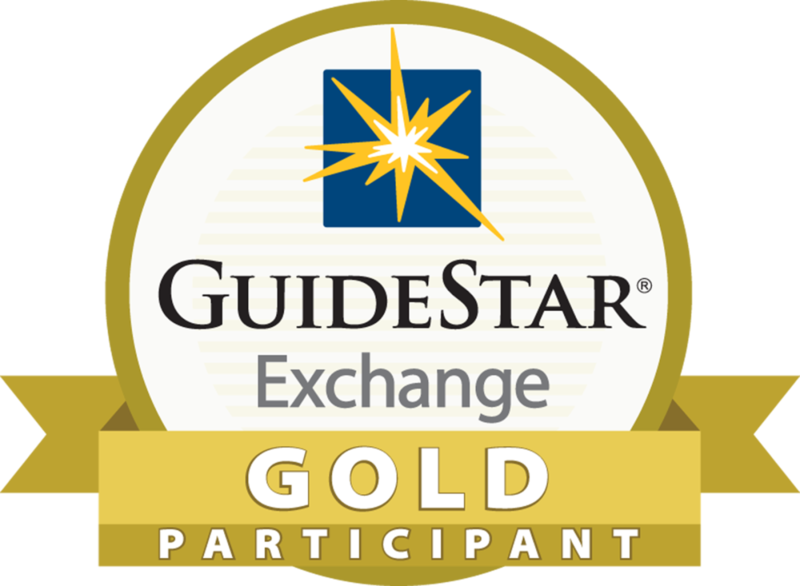 For more information, please call Mike Macchioni at (717) 298-0150, ext 5. The Chocolate Avenue Grill & Smoke Bar & Grille. Jessica and Tim have given generously to Gemma's Angels over the past several years, making our continued operation possible. We appreciate their past and ongoing support of the homeless, the poor and the working poor of Dauphin and Lebanon Counties. Jill was named Volunteer of the Year because of her work as volunteer manager of Gemma’s Angels HersheyPark Volunteer Program. Jill puts in hundreds of hours per year managing the program and volunteers. Through her efforts, the program revenue increased from the hundreds to the thousands.